This charming beer gift basket contains 4 imported beers and 4 national ones in cans and bottles and many delicious appetizers that will go perfect with these yummy beers. Brazil Beer Gift Basket contains 4 imported beers and 4 national beers. 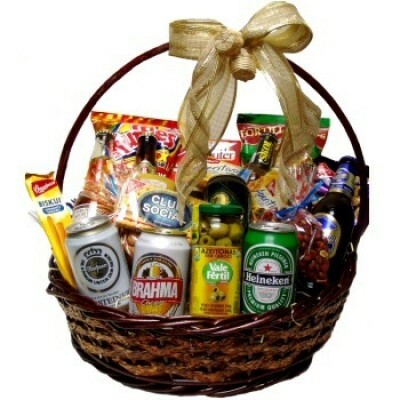 In addition to beer, the Brazil Beer Gift Basket contains toast, snacks such as peanuts, cashew nuts or popcorn, pretzels, one paté, chips and other goodies. It's a fun and memorable gift.